President Donald Trump. Frederic Legrand – COMEO/Shutterstock.com. President Donald Trump has derided “Obama judges” after courtroom losses, but there are other elements at play, according to a Washington Post analysis. One major problem is failure to lay the legal groundwork for policy changes, according to the Post. 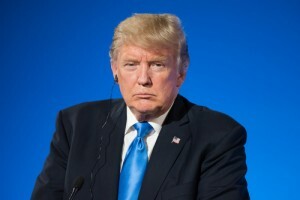 “In case after case, judges have rebuked Trump officials for failing to follow the most basic rules of governance for shifting policy, including providing legitimate explanations supported by facts and, where required, public input,” the newspaper reports. Trump is also hurt by some of his own comments that led judges to think that bias and preconceived notions motivated administration decisions. Federal judges have ruled against the Trump administration at least 63 times over the past two years, according to the newspaper. Democratic appointees are responsible for 45 decisions. Magistrate judges who are not appointed by presidents issued three of the decisions. The other rulings were made by Republican appointees. Two-thirds of the cases alleged violations of the Administrative Procedure Act. The government win rate in such cases is usually about 70 percent. The Trump administration’s win rate was about 6 percent as of mid-January. Officials “don’t even come close” to explaining their actions, “making it very easy for the courts to reject them because they’re not doing their homework,” Buzbee said.